I’m sure that autumn arrives a month earlier than it used to. On my early morning walk today, the first of August, there were definite signs. 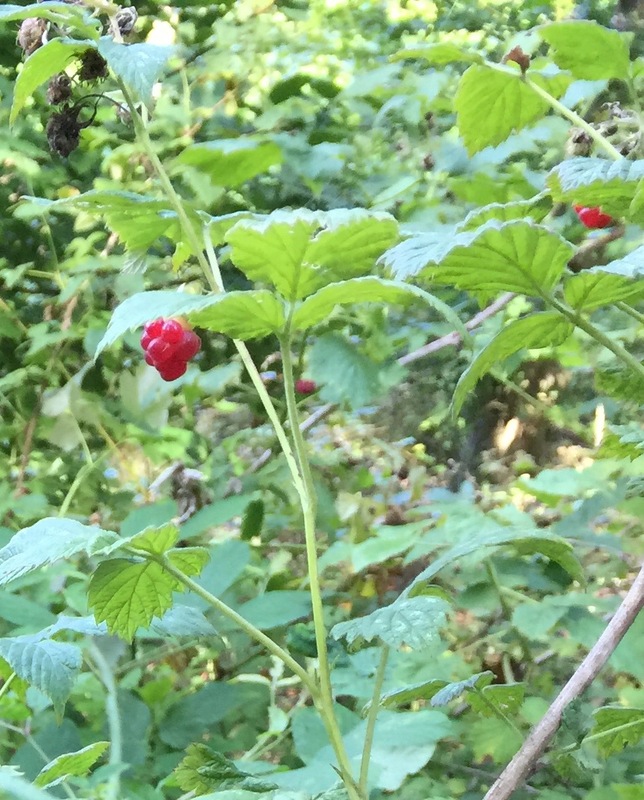 I was pleased that my secret supply of wild raspberries was not completely exhausted. These are hidden in a remote part of the local woods that not many know of. 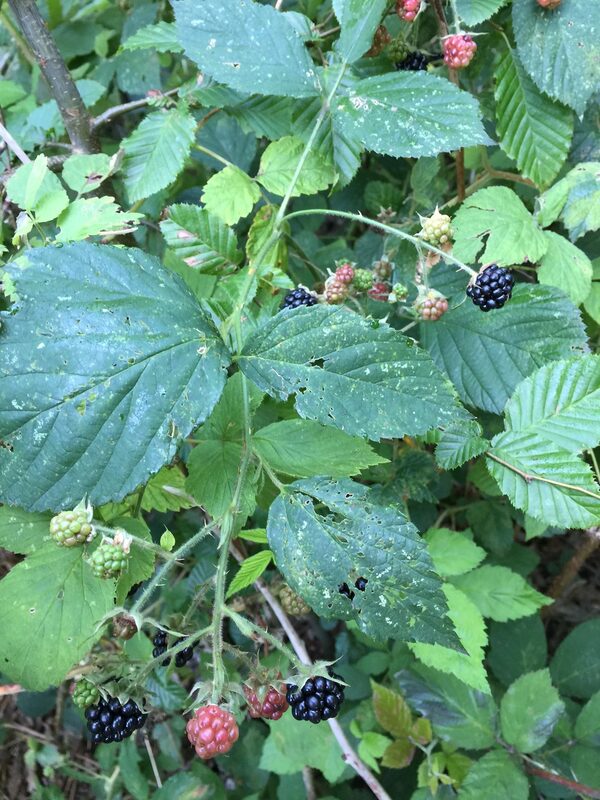 I have been taking these for several weeks, but they are now giving way to blackberries, which will last through until the end of September. Folklore has it that you should not eat them after the third week in October as the devil will spit on them, although they are generally well finished by then. 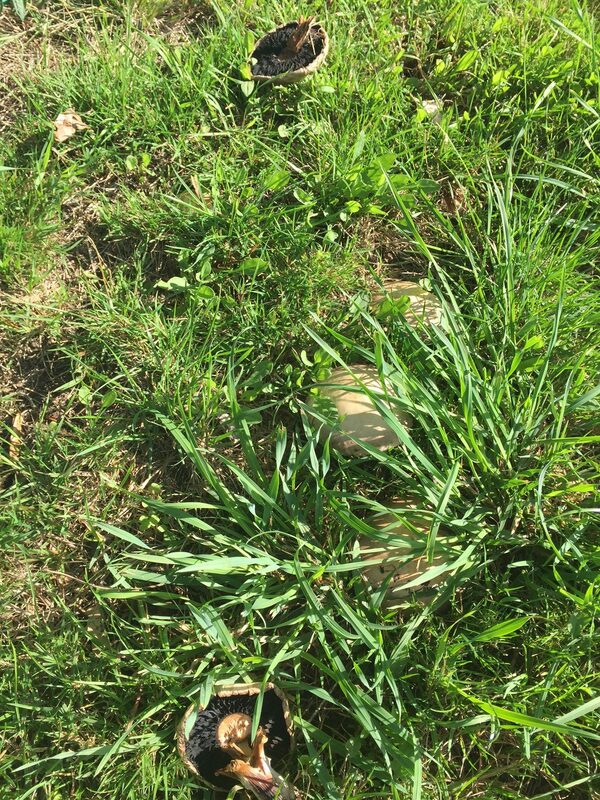 Field mushrooms are staring to appear, no doubt encouraged by the recent heavy showers interspersed with sunny periods. These are on the local cricket field; I am surprised that no-one took the broken ones at the weekend, when they were fresh. I left them at the time in case the groundsman intended to take them after his hard work tending the cricket square. Still, there are plenty more coming through. 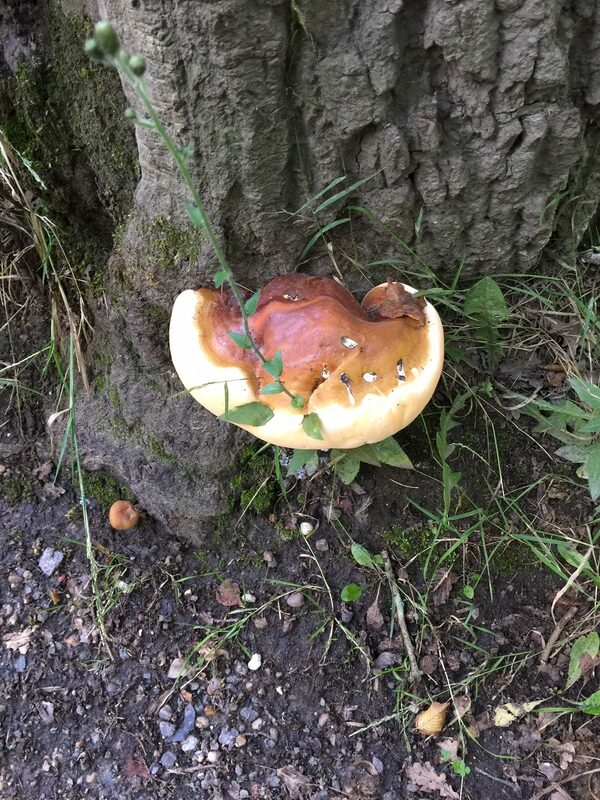 This fungus, at the base of an oak tree, has been growing steadily for the past few weeks and is gradually changing colour from orange and tan to become lighter at the edge. The centre is beginning to turn reddish. I think it may be a young beefsteak fungus. Does anyone know?